Well-cared for green spaces in urban areas help make cities beautiful, encourage biodiversity, and contribute to healthy communities. But as we have seen here in Ontario, once a ban on pest control products is in place, IT WILL NOT BE LONG UNTIL THE DETERIORATION BEGINS. Insects, weeds, and diseases will start to WREAK HAVOC on lawns, make sports fields UNUSABLE, and cause SIGNIFICANT DISTRESS to allergy sufferers. Federally-approved pesticides ― whether they are designed for agriculture or for urban green spaces ― are RIGOROUSLY TESTED. Both synthetic and natural pesticides must meet the same high standard of health and environmental protection. Quite simply, HEALTH CANADA ONLY APPROVES PRODUCTS THAT CAN BE USED SAFELY. Unfortunately, as data from Ontario demonstrates, when legal options are restricted, home-owners seek other options, including using unapproved home-made brews, removing lawns in favor of hard-landscapes or synthetic turf, and going to other jurisdictions to buy products they know are safe and work well. Summerside council may be happy with its decision now, but residents WILL NOT [ be happy ] unless they have access to safe, effective tools approved by Health Canada to keep their lawns and parks healthy, attractive, and usable. Mr Petelle is a LEADING EXPERT who has recognized expertise, training, and background in matters concerning pest control products. 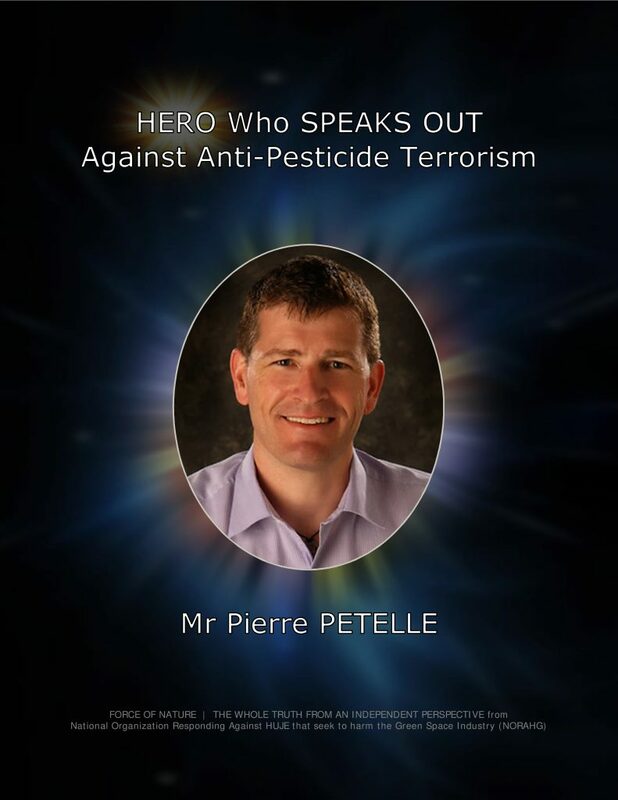 Mr Petelle speaks out against activists and anti-pesticide prohibitions on a regular basis. Mr Petelle validly promotes the fact that pest control products are ENVIRONMENTALLY-FRIENDLY. He has the wisdom of a REAL expert. Council has been working on the prohibition fanatical-prohibition in one form or another for more than a year. On January 16th, 2017, the wording of the new fanatical-prohibition was presented in a public forum. Mayor Bill Martin, who made the introduction of a cosmetic pesticide ban one of his campaign priorities [ ?!?! ], said he was pleased with how the document turned out, though he added it’s not likely to please everyone. « We have got a made-in-Summerside … policy that not everybody is going to be happy with », said Martin. The fanatical-prohibition itself states that no person shall apply a non-domestic ( meaning commercial, agricultural, etc … ) or restricted pesticide for the purpose of maintaining outdoor trees, shrubs, flowers or other ornamental plants on private or city owned land. There are, however, a number of EXCEPTIONS [ ?!?! ] due to extreme circumstances such as infestations, controlling invasive or exotic species or to prevent negative impacts on human or animal health. SUMMERSIDE’S PROHIBITION WILL BE A DISMAL FAILURE BECAUSE IT ALLOWS HUNDREDS OF EXCEPTION STATUSES ! Summerside’s EXCEPTION STATUSES represent the best examples of the failures & the ridiculousness of its anti-pesticide prohibition ! While imposing its arbitrary by-law — prohibiting some uses but NOT others through EXCEPTION STATUSES — Summerside’s elected officials CANNOT stop the public from realizing that a large quantity of deliberate mis-information & propaganda has been spread about the imaginary danger of conventional pest control products. Despite imposing prohibition, Summerside has allowed hundreds of inconsistent & unfair exception statuses, including agriculture, animal health, commercial properties, human health, invasive or exotic species, pest infestations, and more. Summerside’s EXCEPTION STATUSES have been conveniently incorporated into the by-law in order to allow municipal staff to circumvent prohibition, to arbitrarily suit the needs of elected officials, and to falsely maintain alignment of these officials with their political precepts & doctrines ! Summerside’s EXCEPTION STATUSES have inconsistently & unfairly allowed the use of conventional pest control products on municipal green spaces, like sports fields, that will continuously become infested with invasive weeds & destructive insects, which must be controlled annually in order for playing surfaces to remain safe & attractive. In fact, there should be NO #@! !% EXCEPTION STATUSES whatsoever in Summerside ! Otherwise, Summerside’s prohibition will be a dismal failure ! Summerside’s fanatical-prohibition also lays out a list of active ingredients in allowable pesticides. Anyone who breaks the bylaw, upon conviction, is liable to pay a fine of between $1,000 and $5,000, plus the costs of prosecution, or up to a maximum of six months in jail, or both. 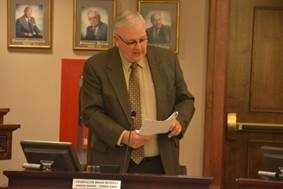 Councillor Brian McFeely, chairman of the Governance, Policy and Strategy Committee, which developed the fanatical-prohibition, said Summerside took its time with this process, which not everyone was happy about, but he believes they used that time wisely. « We tried to be as broad as we possibly could, getting input from every stakeholder that exists around the pesticides », said McFeely. The new fanatical-prohibition will next be reviewed at the committee of council level, then go back to the full council again for second and third readings. No One In Summerside, Prince Edward Island, Wants To Live In #@! !% Dangerous & Pest-Infested Urban Landscapes That Look Like Garbage Dumps ! In Summerside, observers have NO objection to government officials’ choice of life-style, which, in this case, is a clear preference to live in an environment that looks like a garbage dump. However, observers DO object to the imposition of this lifestyle choice on the majority of the community that DOES NOT want to live in this manner. Observers expect that Summerside’s municipal prohibition will inflict ecological pest disasters leading to dangerous & unattractive garbage dump green spaces in the urban environment. Outside of Summerside, in Ontario, the reckless and arbitrary imposition of fanatical-prohibition since 2009 has proven NOT in the best interest of health and environment. Sadly, Ontario’s prohibition has created catastrophic ecological pest carnage in the form of garbage dump green spaces. No one, either in Ontario or in Summerside, wants to live in #@! !% dangerous and pest-infested urban landscapes that look like garbage dumps ! Observers now know that prohibition will inflict catastrophic ecological pest carnage in Summerside, such as … • municipal & residential properties will be ruined by uncontrolled weed invasion & insect destruction • weeds will invade lawns, and dandelions will become the dominant ground cover • lawns will be decimated by destructive insects like Chinch Bugs • playing surfaces will become hazardous to children who are at high risk of tripping and becoming seriously hurt • infra-structures will be damaged by invasive noxious plants like Japanese Knotweed & Giant Hogweed • mature street trees will perish • rose plantations will die. 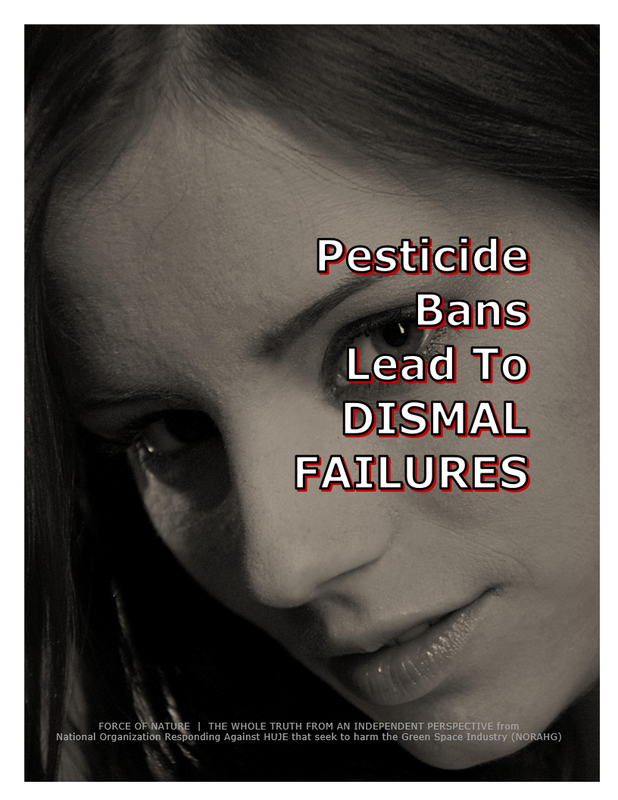 It is a recognized fact that prohibition is unnecessary since pest control products are scientifically-safe, practically-non-toxic, and will cause NO harm. WE SPEAK THE TRUTH ABOUT GARBAGE DUMP GREEN SPACES !